This Staff Secondment Agreement is for a company that supplies personnel to work on a short term basis for one of its clients. Two Schedules are included, allowing you to detail secondees and rates payable for secondees. You need this document if you are a company supplying staff to a client for a short-term project. 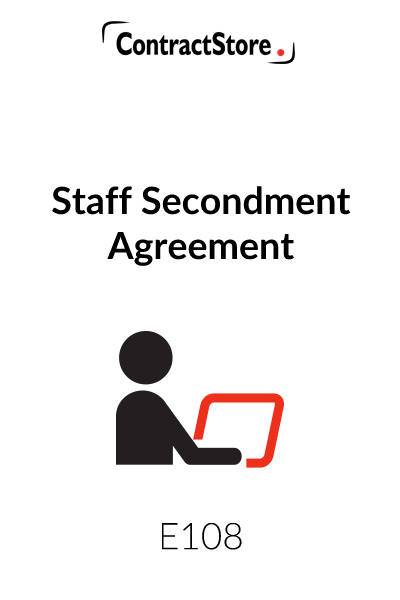 This Staff Secondment Agreement is designed for use where one company supplies staff to another on a temporary basis, often to work on a particular project or task. The Supplier’s staff work for the Client on secondment but remain contracted to the Supplier, who is therefore liable for employee benefits and other legal obligations of an employer. The Agreement records the relationship and agreed arrangements between the Supplier and the Client, and constitutes a contract once signed by both parties. 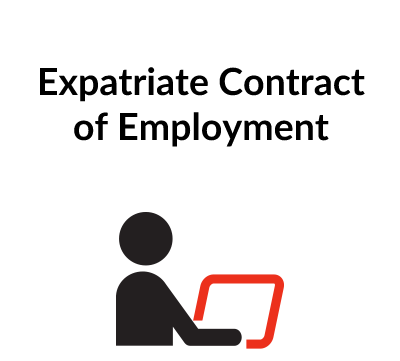 Please therefore refer to the additional guidance notes on signing agreements and contracts at the end of these Explanatory Notes. These are self-explanatory and are provided for ease of interpretation. The rate for each Secondee set out in Schedule 2 should cover the Secondee’s salary and the costs to the Supplier of providing any benefits or rights to which the Secondee is contractually entitled (e.g. sick and holiday pay), plus overhead and profit. 2.1 The names of the initial staff to be seconded should be included in Schedule 1, together with the relevant job descriptions and period of secondment. The Agreement provides for further Secondees (at Clause 2.2) and replacement staff (Clause 6). The identity of staff on secondment will therefore change over time. Any Secondee seconded for a fixed period who cannot be withdrawn or replaced under Clause 6.2 must be specifically identified in Schedule 1. 2.3 As the Supplier’s charges are linked to the length of time a Secondee works for the Client, a minimum secondment period is generally necessary to ensure that Supplier is adequately recompensed. 2.5 recognises that the procedure for supplying and terminating secondments may need to be adapted over time. In order for any such variations to carry the same legal force as the original Agreement, the terms must be recorded in writing and again signed by authorised signatories of both parties. 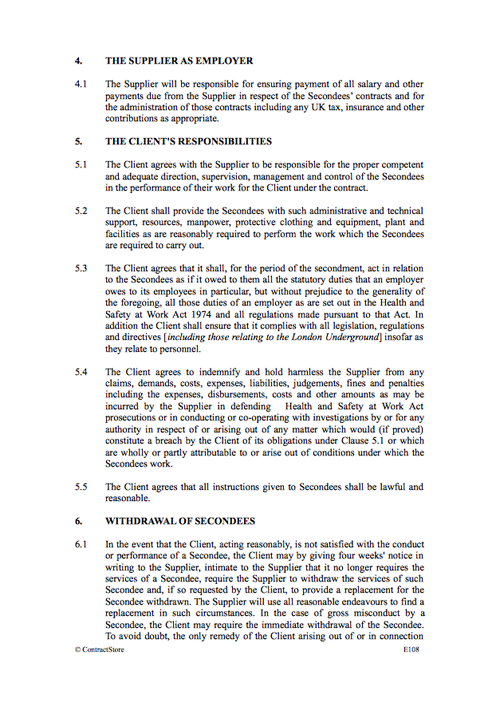 3.1& 3.3 Although the Secondees remain under contract to the Supplier, Clause 3.1 makes it clear that whilst on secondment the Secondee will work at the direction and management of the Client’s designated personnel. Similarly, under Clause 3.3 it is the Client’s responsibility to supervise the Secondees and to notify the Supplier immediately in writing should the Client consider any Secondee’s performance unsatisfactory. 3.2 The Secondees are required to keep records of all time spent whilst working for the Client. The records are then submitted to the Supplier weekly, and will form the basis for the charges levied in the Supplier’s monthly invoice to the Client under Clause 9.2. The Client may also request copies of Secondees’ time records. 4.1 Consistent with the Supplier’s own contractual obligations to the Secondees, the Supplier remains responsible for payment of salary and other entitlements to the Secondees. The Supplier is of course reimbursed by the Client under Clause 9. Clause 5 lists the various duties for which the Client accepts responsibility during the period of secondment. This list generally reflects the Supplier’s own legal and other obligations to the Secondees which, having effectively relinquished day to day management of the Secondees to the Client, it would otherwise be difficult to ensure are fulfilled. 5.3 performance of all statutory duties usually owed by an employer to an employee, such as those imposed by the Health and Safety at Work legislation (i.e. to ensure the health, safety and welfare of employees and other people effected by their work). 5.4 As the Supplier remains ultimately responsible for its staff, by Clause 5.4 the Client also agrees to indemnify the Supplier against any claims or prosecutions should the Client not properly carry out its duties. 5.5 Similarly, the Supplier also obtains the Client’s agreement that all instructions given to the Secondees will be lawful and reasonable. This Clause outlines the ways in which Secondees can be withdrawn from the Client. 6.1 in the case of unsatisfactory performance by the Secondee, giving four weeks notice to the Supplier. In a case of gross misconduct, immediate withdrawal is provided for. The Client may request a replacement, which the Supplier will use reasonable endeavours (as opposed to best endeavours) to find. The Supplier will have no other liability to the Client. 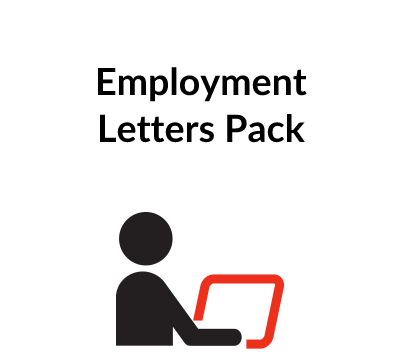 6.4 in the case of long term absence by a Secondee, terminating the secondment. Again the Supplier will use reasonable endeavours to find a replacement if so requested. 6.2 except in the case of a fixed period secondment, by giving four weeks notice to the Client. Accordingly it is important that any such Secondees are expressly identified as fixed term Secondees in Schedule 1. Should a Secondee be removed, the Supplier agrees to use reasonable endeavours to find a replacement should the Client request. 6.3 by immediately withdrawing or temporarily suspending the Secondee from the secondment without notice should the Supplier consider the Client’s working conditions are in breach of its Clause 5 obligations. 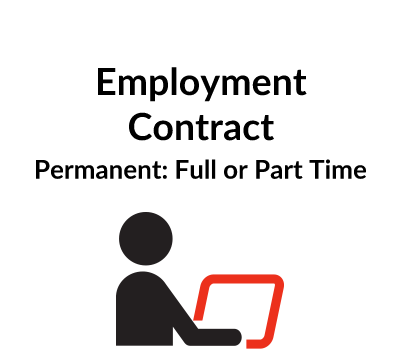 This Clause ensures that a Secondee cannot be required to work longer hours than those specified in the Secondee’s contract of employment with the Supplier. The Secondee may however agree to work longer hours with the Client. Where a Supplier’s contract with the Secondee requires additional working hours as may reasonably be required, the protection offered by this clause may be less necessary. No provision has been made for a required number of minimum working hours. If necessary, appropriate wording can be included but again the agreement will need to reflect the Supplier/Secondee contract. 8.1 It is the Client’s responsibility to ascertain whether a Secondee expects to be unavailable for work for any day during the secondment, and to inform the Supplier if another Secondee is required to cover that absence. 8.2 The Client also agrees to honour any leave entitlements of the Secondees, and no replacement will be provided except for short term secondments. 9.1 The Rates payable by the Client to the Supplier are those set out in Schedule 2 and will be calculated on the time sheets submitted by the Secondees. Whether an hourly, daily, weekly or monthly rate is appropriate will depend on the nature of the secondment and ultimately is a matter of negotiation. The rate is quoted exclusive of VAT, which is also payable where applicable (see Clause 9.3). 9.2 This Clause provides for the Supplier to invoice monthly, but this is easily amended if required. 9.3 The due date for payment of the Supplier’s invoice is three weeks from the date of the invoice. 9.4 The Supplier is entitled to interest on late payments at the specified (penal) rate calculated from the due date. Confidentiality will generally be important to a client for competitive advantage, but particularly where Secondees have access to trade secrets or business sensitive information. Clause 10.2 requires the Supplier to obtain a signed confidentiality agreement from all Secondees and this agreement should include wording similar to that concerning the Client’s records in Clause 10.4. This clarifies the relationship between the parties, namely that there is no agency or representation arrangement created by this Agreement. 12.1 Employer’s liability insurance is the responsibility of the Supplier. (ii) The Supplier maintains Professional Indemnity Insurance for an agreed amount and for an agreed period, provided that such insurance is available. The Supplier’s liability for any claims is then limited to the amount of P.I. Insurance. Which clause is more appropriate will depend on the nature of the work being carried out on secondment, and the nature of the Client. Professional clients are more likely to have P.I. Insurance in place. In any event, when considering the period of P.I. cover, it should be remembered that under English law, the liability period for latent defects which appear after the services have been completed is usually 6 years, but could extend to 12 years if the contracts executed as a :”deed”. The Supplier warrants that it is satisfied as to the professional qualifications of the Secondees as notified to the Client. Intellectual property rights may be created by the Secondees whilst working for the Client. The Client is likely to require ownership of those rights, just as it would with a direct employee and this is covered by Clause 14.1. Clause 14.2 distinguishes any intellectual property originally belonging to the Supplier as remaining the property of the Supplier. Clause 15 protects the Supplier’s business by preventing the Client from recruiting Secondees as direct employees and thereby avoiding payment. Clause 15.2 provides for the payment of a fee if Clause 15.1 is breached, the amount of the fee can be calculated either by way of penalty or compensation for lost income or both. 16.1 The Supplier’s liability, arising for whatever reason, is ultimately limited under this clause to the total of the Rates (up to a maximum specified amount), except to the extent that the liability is covered by the Supplier’s P.I. Insurance if taken out under Clause 12.2. 16.2 Should the Supplier be held liable for sums in excess of the total Rates paid, the Client indemnifies the Supplier for that excess under Clause 16.2. 16.3 Liability for any consequential loss (e.g. loss of profit) is excluded for both parties. 17.1 This Clause makes it clear that the Client may terminate the Agreement if the Supplier commits a material breach. 17.2 Similarly, the Supplier may terminate if the Client does not pay fees and expenses within 28 days of the due date. 17.3 Either party may terminate the Agreement in the event of the other party’s insolvency. 17.4 This Clause provides for the payment of outstanding fees and expenses, together with any additional expenses incurred by the Supplier arising out of the Client’s termination. This is a standard clause providing clarity as to the way in which notices under the Agreement must be given. This Clause deals with the situation where one party has allowed a delay or non-performance of a term of the Agreement by the other party. The waiver makes it clear that any such accommodation applies to that occasion only and does not constitute a new agreement. This is an important clause obliging both parties to attempt to resolve any dispute through mediation before resorting to court proceedings. Should court proceedings prove necessary, the Agreement specifies the English courts. Similarly, Clause 20 provides that English law would govern the interpretation of the Agreement. If the contract is in a country other than England, changes to this clause will be needed. This Clause makes it clear that any informal arrangements, understandings or statements made during negotiations leading up to the Agreement cannot be relied upon and the only terms governing the relationship between the parties are those set out in this Agreement. This Clause expressly excludes the operation the Contracts (Rights of Third Parties) Act 1999 – legislation which might otherwise allow a non-party to this Agreement, for example a Secondee, to enforce a term of the Agreement despite the parties’ intentions.